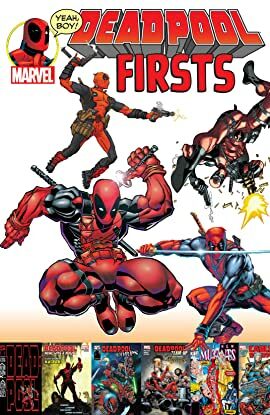 Collects New Mutants (1983) #98, Deadpool: The Circle Chase #1, Deadpool (1994) #1, Deadpool (1997) #1, Cable & Deadpool #1, Deadpool (2008) #1, Deadpool: Merc With a Mouth #1, Deadpool Team-Up #899, Deadpool Corps #1, Deadpool (2013) #1, Deadpool (2015) #1. He's your number one, and these are his #1s! (Plus some other weird numbers.) Deadpool's dazzling debut steals the New Mutants' spotlight, leading to his very first limited series. Then brace yourself as the degenerate regenerates into nine new titles! The ever-social sociopath gives top billing to his bro Cable, teams up with a demigod and even hangs with his own zombified head before assembling a whole Corps of alternate Deadpools! Plus: Five completist-confounding comics with the exact same name, from the Classic era to the All-New All-Different age! All together now: "Deadpool's #1! 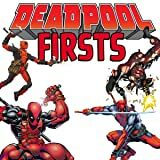 Deadpool's #1!"